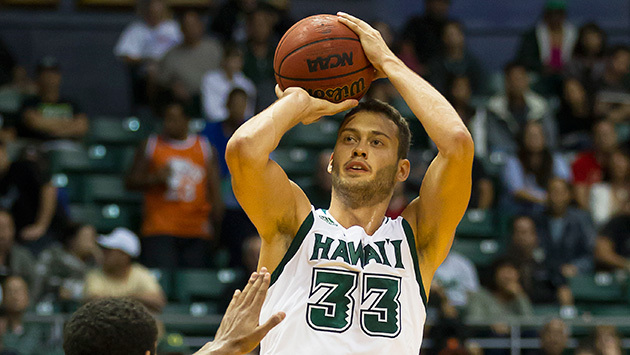 Everything you need to know about the Hawaii Rainbow Warriors as the NCAA tournament begins. The Case For: Many mid-major would-be Cinderellas get knocked out because they lack elite big men who can matchup with power-conference post players.But Hawaii won’t have that problem thanks to Jankovic. The junior big man played at Missouri as a freshman and has increased his scoring output dramatically each season. This season, he posted a strong 118.8 offensive rating while using 26.0% of available possessions. He is just outside the top 100 in defensive rebounding and is top 50 in true-shooting percentage and in drawing fouls. But this isn’t a one-man offensive show. The Rainbow Warriors have four players averaging at least 9.5 points and are the 16th-best team in D-I in two-point percentage. Hawaii is even better on the other end of the floor, boasting a top-50 defense and a top-25 unit at defending two-point shots. The team should have confidence, too, as it beat fellow tournament team Northern Iowa at home on Dec. 22 and took No. 2 seed Oklahoma to the wire before losing by three the next day. It won’t back down from a first-round challenge. The Case Against: Those two aforementioned games were about the only difficult opponents Hawaii faced all season. The Warriors’ nonconference strength of schedule was 342nd in the country, and their overall strength was 254th. Although the offense is excellent in the paint, it has trouble connecting from the three-point line, shooting 32.8% from three—254th in D-I. Similarly, they struggle to hit their free throws (68.6%, 224th). If they get behind against a strong high-major team, it’ll be hard for them to close the gap quickly. Although Hawaii is used to traveling to California for conference games, it’s no doubt a disadvantage to have to fly eight hours to a first-round site. SI Prediction: Lose to No. 4 California in the first round.